Watching, talking and thinking about Studio Ghibli is something I do so much that it borders on an obsession. 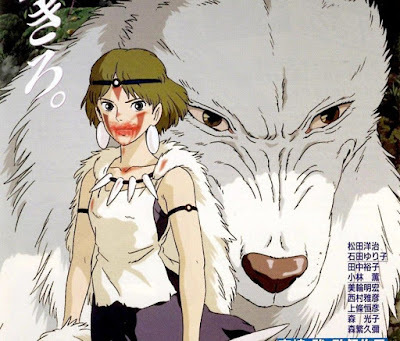 Today I thought I'd bring this obsession back to In Ella's Element and share with you the 10 Studio Ghibli films you should watch and why they are such excellent movies. Studio Ghibli (for those who may not know) is a Japanese animation studio and their films are considered the best of anime and their influence can be felt in films from both the east and the west. The studio has released 20 films in total and this list doesn't discredit the other 10 but these are my personal favourites. So here they are, in no particular order. OK, so I'm going to get this one out of the way because it's not technically a Studio Ghibli film. 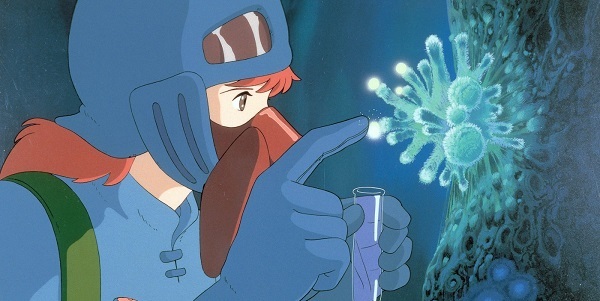 Naussica was realised shortly before the studio was formed but it had many of the people who became Studio Ghibli working on it and it has many themes that the studio became known for. Naussica is set in a post apocalyptic world where the earth is being consumed by the "toxic jungle". 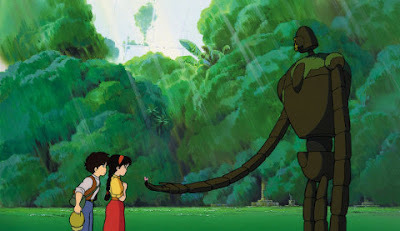 I won't go into more detail but it's a wonderful film that thrust Hayao Miyazaki's work into prominence. Even if you've never seen a Studio Ghibli the chances are you'll still recognise their mascot Totoro. My Neighbour Totoro follows two sisters Mei and Satske as the move into a new house with their father in order to be closer to the hospital in which their mother is a patient. 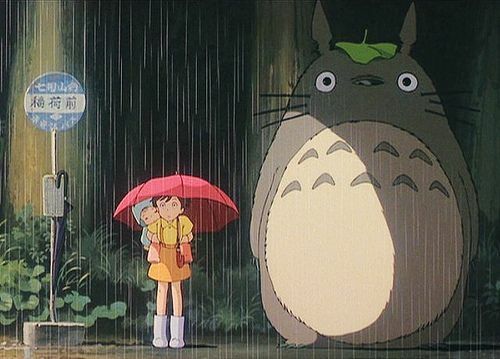 The film has no particular plot, twists or anything you would expect in a film and yet Totoro has become one of the most loved films of all time. Totoro is bursting with charm and wonder while still having themes that are extremely relatable no matter what your age. Based on the books of Diana Wynne Jones. The story focuses on a young girl Sophie who is cursed with old age who has to seek refuge in the moving castle of the selfish wizard Howl. The film is such a joy to watch as the characters are so likeable, even those who seem villainous have their redeeming qualities, this is an theme in many of Hayao Miyazaki's films. This is considered to be one of Miyazaki's best. Ashitaka is cursed after saving his village from a boar who has been overcome by a demon of hate. He sets out to find a cure where he discovers a fierce war between those who wish to protect the forest and the humans who wish to tear it down in the name of progress. In the forest he meets San, a human adopted by the wolves after she is abandoned as a baby. It's a beautiful film and it's message of environmentalism is just as important today. I've already dedicated an entire post as to why you should watch this film, which you can check out here. This is the first official film of Studio Ghibli and when you watch it you can feel how those who saw when it was first released must have felt. Like history was being made. That it was the start of something incredible, which, of course, it was. Pazu, a young boy comes across a girl (Sheeta) floating down from the sky. The two must escape those chasing Sheeta and set out to find Laputa, the mythical land in the sky. The character building in this film is incredible and if you're looking for a great female role model then look no further than the pirate Dola, one of my favourite Ghibli characters. If you're feeling down, put this film on. It's such a heartwarming story while still dealing with issues like loneliness and isolation which the majority of us can relate to. Kiki is a young witch who must leave home for one year to find her own town to live in and make it on her on. 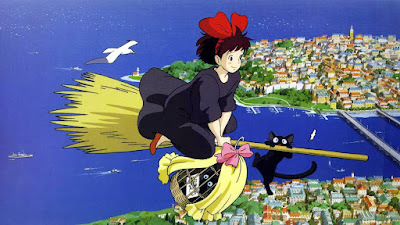 Kiki finds a town and starts up a delivery service, delivering parcels on her broomstick. 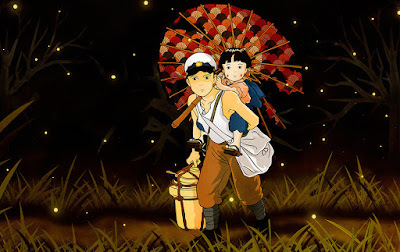 This film is not only considered one of the best anime ever made but is also a gateway for many not only into Studio Ghibli but into the entire genre of anime. The story follows Chihiro who enters a strange word of spirits after her parents are transformed into pigs and must work in the bath house of the witch Yubaba. The film is beautiful to look at, the characters are interesting and well developed (the development of Chihiro's character is some of the best I've seen). Also it has No Face who is a character that is so important to me I now have him tattooed on my arm. 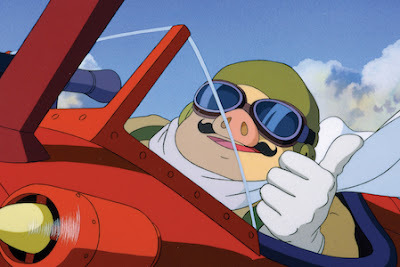 Porco Rosso is one of Ghibli's films that goes underrated because of such huge films like Spirited Away and Princess Mononoke. But it's such a great film and definitely deserves recognition. Porco Rosso is a seaplane pilot cursed with the face of a pig. The film is funny and exciting while dealing with issues like war, honour and politics. It's gorgeous animation and every time I watch it I have a huge smile on my face. 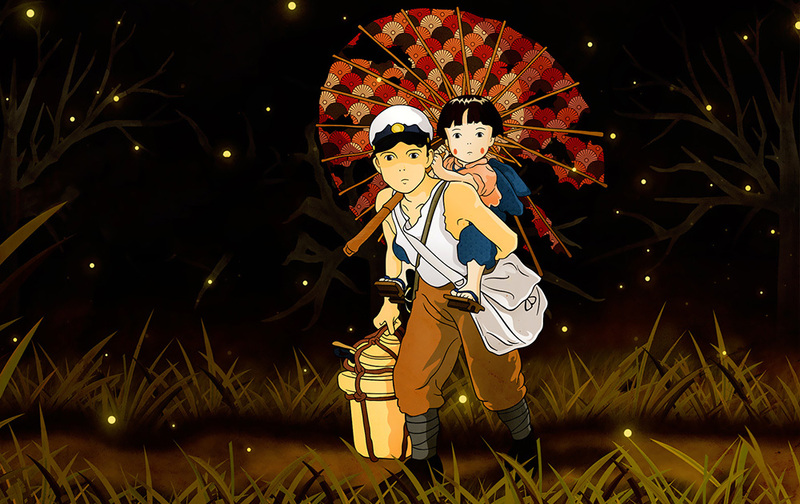 This film is tinged with a little sadness as this is the only film to be directed by Yoshifumi Kondo (whom Hayao Miyazaki wanted to take over Studio Ghibli) before his unexpected death at the age of 47. However, Kondo's talent is seen throughout Whisper of the Heart, it's a gorgeous, relatable, funny and heartwarming film that deserves all the praise in the world. Shizuku is a teenage girl who loves to read, she discovers that the same person (Seiji Amasawa) has checked out all the library books she has. Shizku becomes extremely curious about who Seiji is and sets out to find him but he isn't who she expects. 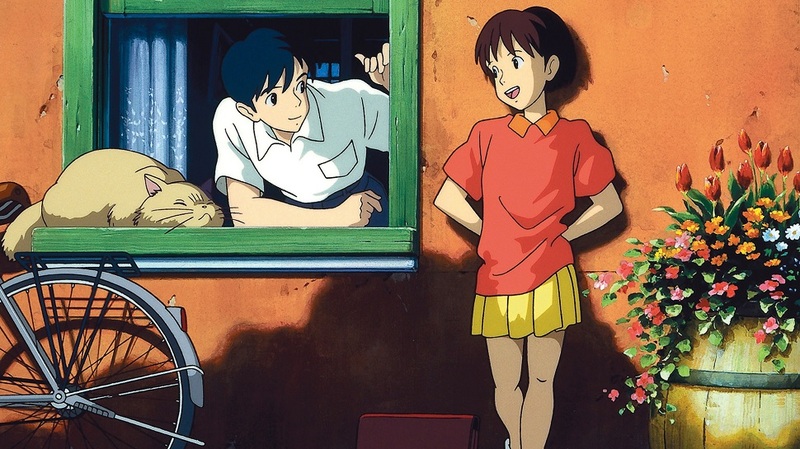 The film is possibly the most relatable of all of the Ghibli films as it deals with being unsure of yourself, your future, trying to prove yourself, and trying to be a success. 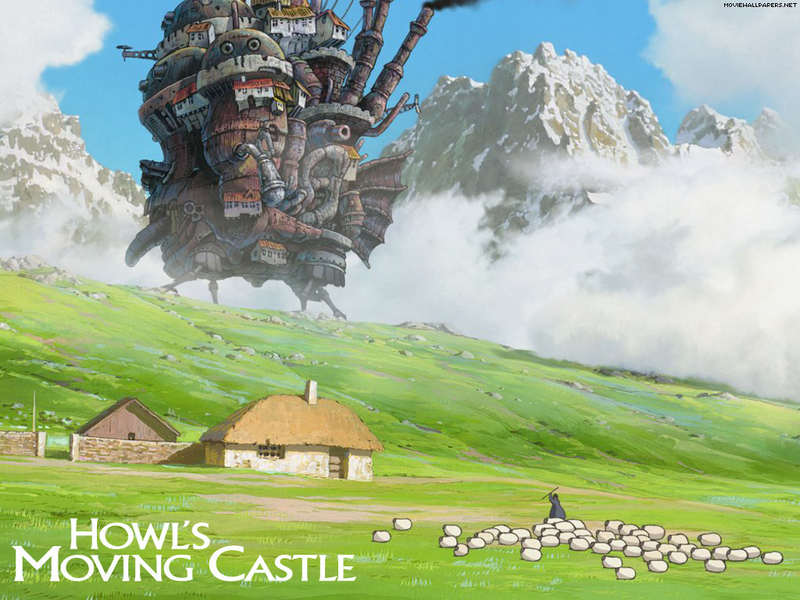 So there are the 10 Studio Ghibli movies I think you should watch. Obviously if you have time check them all out but these are the 10 most special to me. Did you agree with my picks? 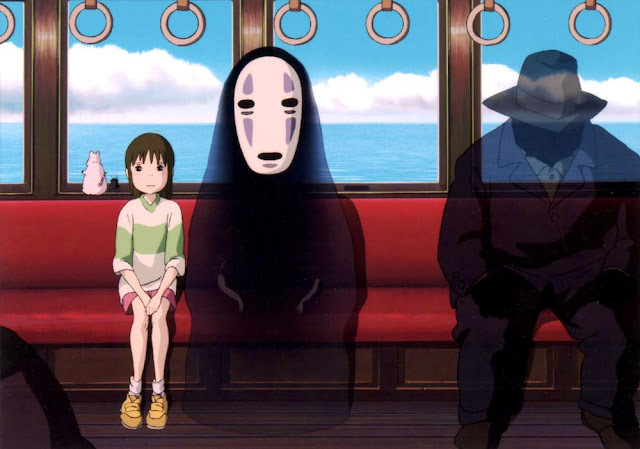 Which Studio Ghibli film is your favourite?